The word ‘Orchha’ means ‘hidden palace’, and true to its name, this majestic city is one of the hidden treasures of the country. 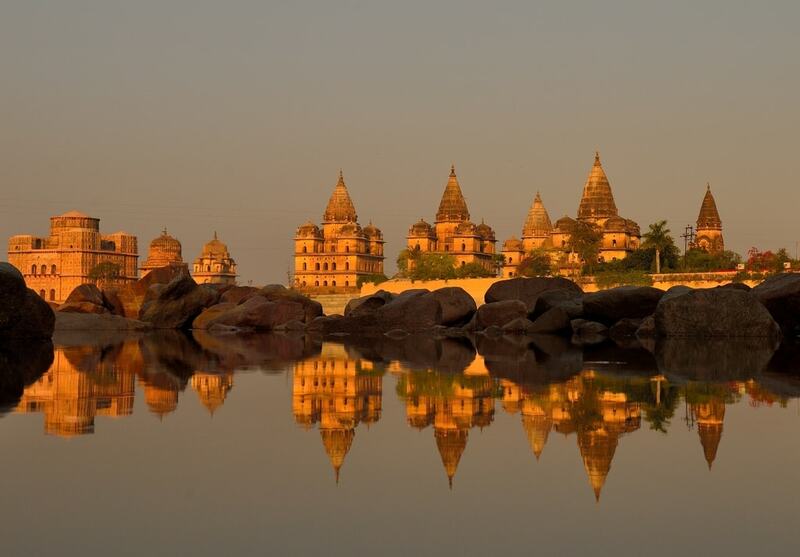 Located in the central state of India, Madhya Pradesh, Orchha was once the capital of Bundela Rajput Kings, and was established in 1501 by Maharaja Rudra Pratap Singh. Though a small town, the grand history and monuments of this place make it a must-visit for tourists. 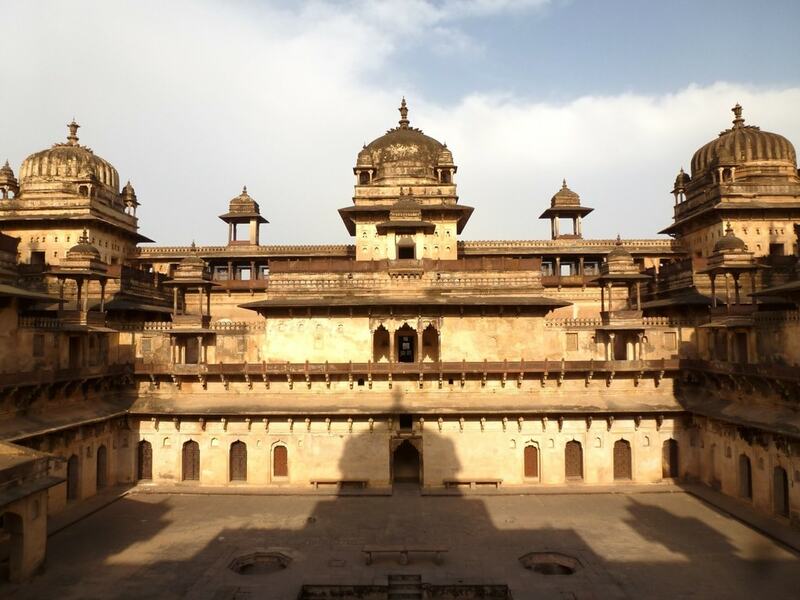 The Orchha Fort Complex comprises three magnificent palaces – one of them being the Jahangir Mahal. With classic Mughal architecture, the palace was built as a citadel for the Mughals, which made it quite important for them. The domes of the palace are built as per the Timurid customs, and also the lawns and gates are massive enough for war elephants to enter. With beautiful turquoise tiles on the front wall, Jahangir Mahal is a three-storeyed monument that even today retains its original grandeur. If you’re someone keenly interested in historic architecture, then you’re surely going to love Raja Mahal. 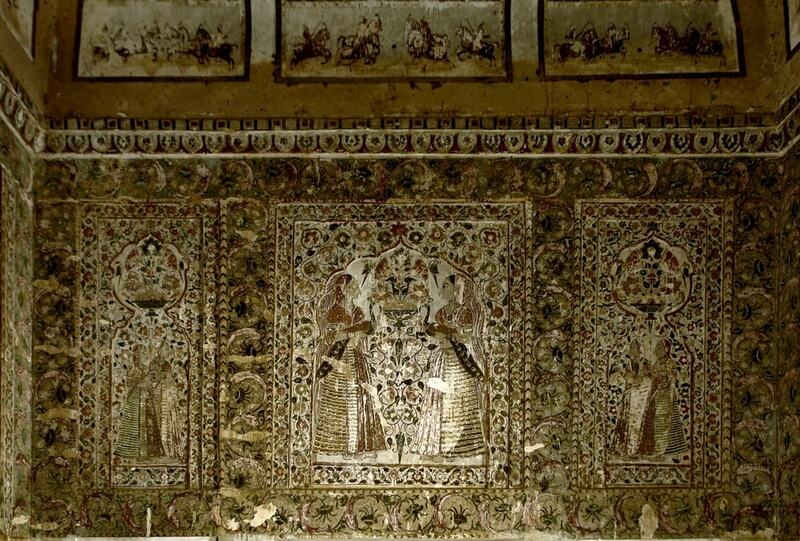 Residing inside the Orchha Fort Complex, this 17th-century masterpiece is a great work of art. The flawless architecture of the palace is what attracts tourists from across the world. There are decorative murals of gods and mythical people and animals. The windows and arcade passages of Raja Mahal are designed in such a way that sunlight entering the palace creates different temperatures and moods throughout the day. There are many secret passages inside the palace too. The Ram Raja Temple has an intriguing history behind its formation. Legend says that idols of Lord Rama were to be installed in the Chaturbhuj Temple, but as the temple was under construction, the idols were kept inside the queen’s palace for the time being. Afterwards, when people tried to shift the idols, they refused to move. That’s how this part of the Raja Mahal became holy and was constructed into a temple. It is the one and only temple in India where Lord Rama is worshipped as a king, hence it’s called the Ram Raja Temple. The temple is specially guarded by police, and to honor the king (Lord Rama), gun salute is given every day. Rai Praveen, the Nightingale of Orchha, was a famous singer and poet in the court of king Indrajit Singh. In admiration and honor of her art, the king built this beautiful palace, which came to be known as the Rai Praveen Mahal. The palace has great architecture with beautiful carvings all around, and also the second floor of the palace has numerous picturesque scenes of Nritya Mudra, which are the poses and postures of Indian dance. Rai Praveen Mahal also has a Tope Khana or cannon foundry, which was used to guard the palace from any outside threat. Phool Bagh is a garden complex that depicts the decorative architecture of the Bundelas. It has intricately designed fountains all around in an eight-pillar pavilion. The water gets collected in a large bowl called Chandan Katora; it is then supplied through the roof, making it look like rainfall. 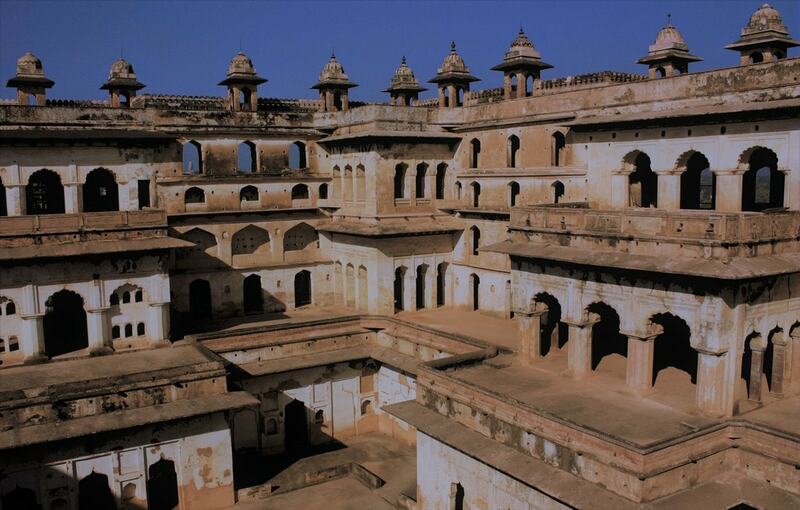 The garden initially served as a retreat for Orchha kings during summer. There’s a central memorial built for Prince Dinman Hardaul, who committed suicide in order to prove his innocence to this elder brother. 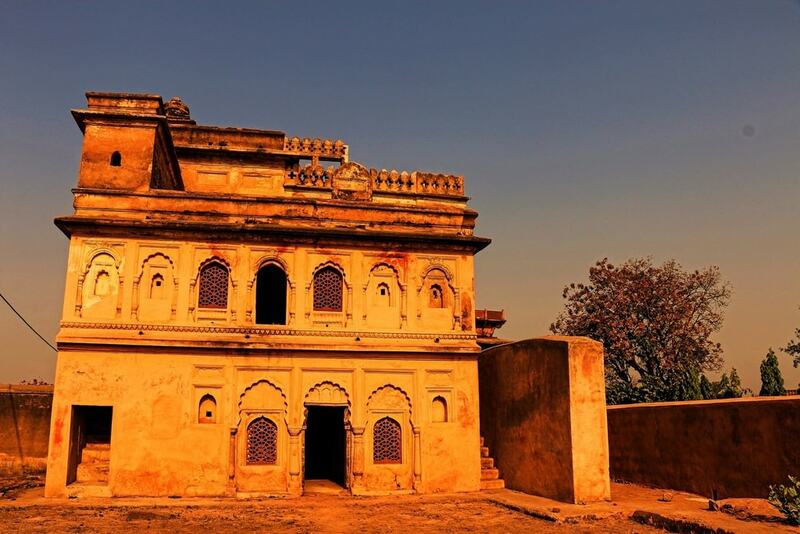 If you get tired visiting the Orchha Fort Complex, Phool Bagh is where you can relax for a while. Adventure junkies too can have a good time in Orchha. You can experience river rafting and boating in Betwa river. Rafting in Betwa starts from the boat club, for which tickets are arranged at Hotel Sheesh Mahal and Betwa Retreat by MP Tourism. The tickets cost INR 1,000 per person for one hour or depending on the number of rafts you take. A single raft takes approximately one to six people; so whether you go with family or friends, you can have a great time here. 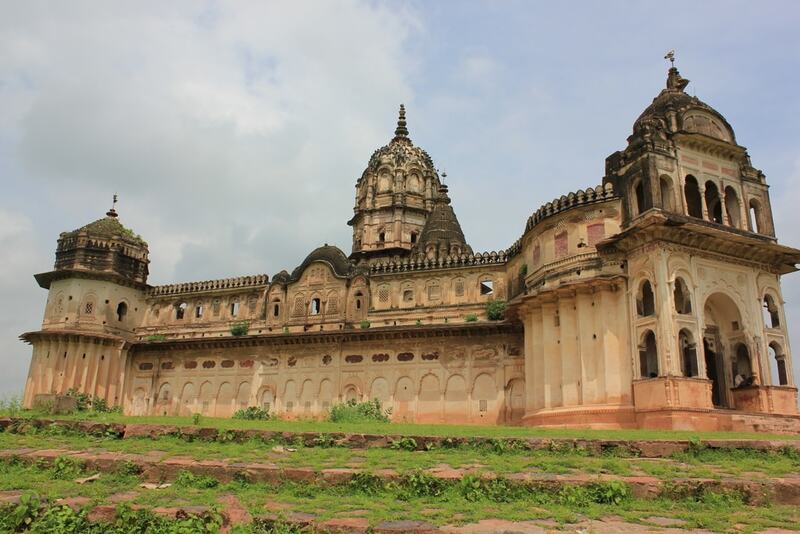 Chhatris of Orchha are the impressive royal tombs anciently built for the Maharajas on the banks of Betwa river. The Chhatris are constructed on a high platform supported by pillars, and the domes of the Chhatris have exquisite paintings. To best experience the charisma of these beautiful Chhatris, you must view them from the opposite side of Betwa – the reflection of the tombs in the river water is picturesque. 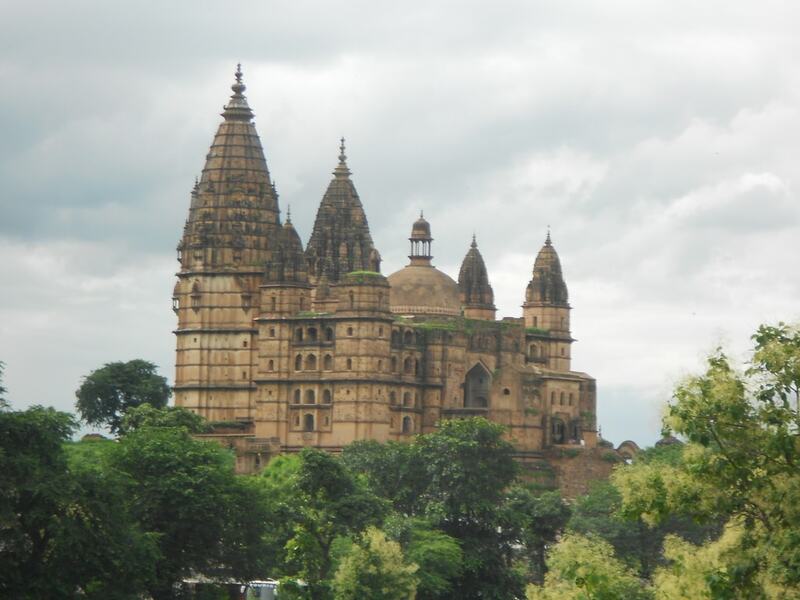 The Chaturbhuj Temple was built during the rule of Gurjara Pratihara dynasty in 875 A.D. in dedication to Lord Vishnu. The literal meaning of Chaturbhuj is ‘one with four arms’. In Hindu texts, Lord Vishnu has been regarded as Chaturbhuj, hence the name of the temple. The temple has beautiful architecture which attracts a number of historians and archaeologists from around the world. The temple today also has idols of Radha-Krishna. For those who love nature, flora and fauna, this 12-kilometer-long Orchha Nature Reserve can be an enriching experience. 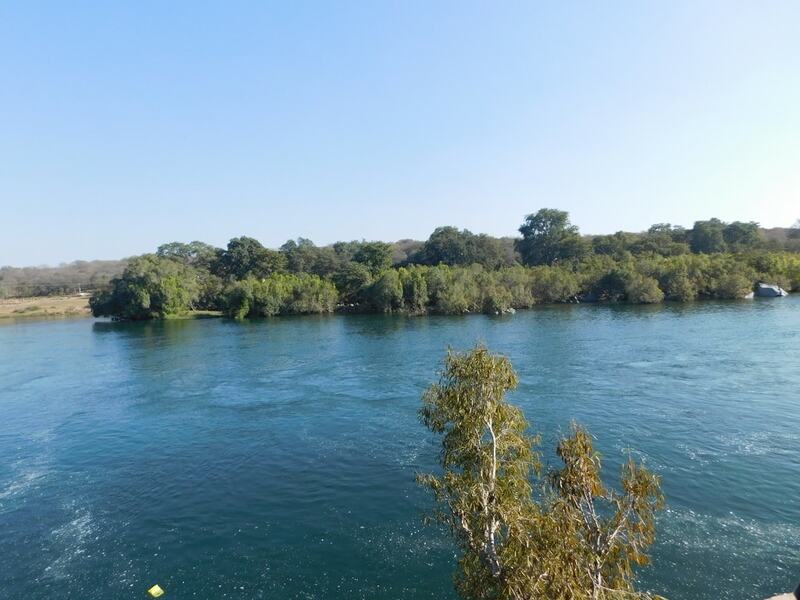 The reserve is the part of a 44-square kilometers wide river island which is surrounded by Betwa river and Jamni river. With regularly posted signposts, the trail is well marked; you can get tickets from the reserve office between 8 am to 6 pm. You can even spot a few deer, monkeys and peacocks here. The place can be a good option for cycling too. Laxminarayan Temple can be a great delight for art lovers. 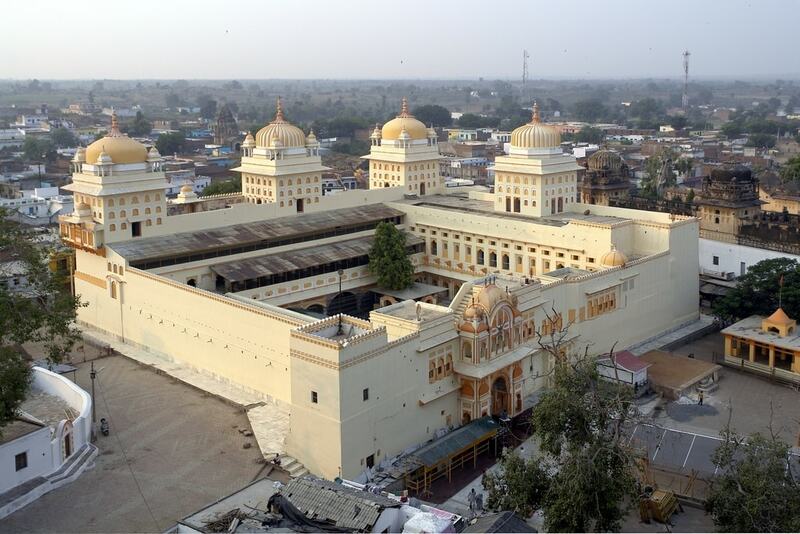 Dedicated to Goddess Laxmi, the temple was built in 1662 with a unique blend of a temple and a fort. Stunning murals in various themes – secular, spiritual and mythological – are found inside the temple along with a number of post-mutiny paintings. You can visit Laxminarayan Temple directly after visiting the Ram Raja Temple, as there’s a straight flagstone path that connects both the temples directly. Sheesh Mahal is a royal accommodation which was built by King Udait Singh. Now converted into a hotel, the Sheesh Mahal has the Raja Mahal and Jahangir Mahal on either side. It consists of a huge dining hall with impressive walls and high ceilings and has two royal suites on the upper floor that provide a picturesque view of the city. To experience the feeling of royalty, you must book your stay here.